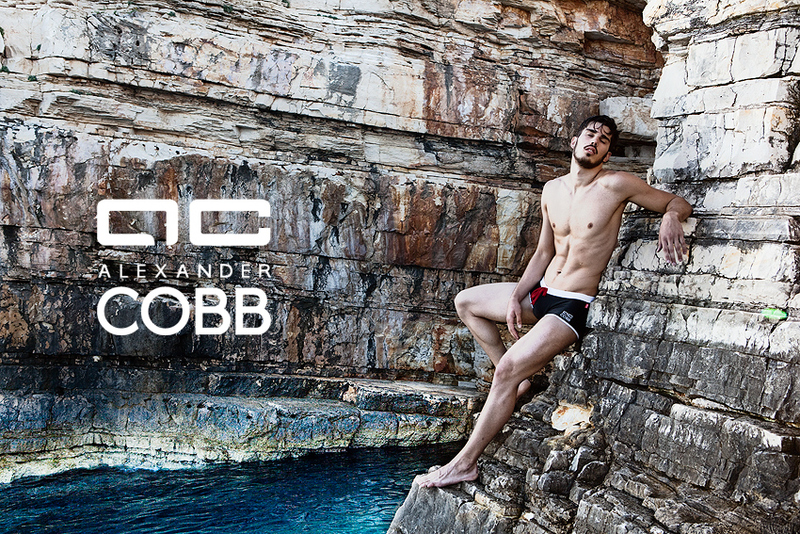 We were very happy to receive the new photo shoot of Alexander COBB today. The Danish brand chose a rocky shore to create a series of beautiful images with their latest model Oscar, posing in their latest underwear and swimwear designs. A brand that prides its 100% european quality, Alexander COBB, continues to create unique patterns on their garments all signed by their Scandinavian designer. One more thing this brand is well known for is the use of micro-capsules on their underwear fabric filled with strawberry and vanilla fragrance which lasts for approximately 10 washes. Enjoy the pictures of Oscar below and if you like what you see, go and have a look at all their latest designs on the brand’s website.